Aluminum foil is sewn inside lining to protect homeopathic harmful waves tubes. It allows you to organize your tubes of homeopathy by types of headaches quickly find the right remedy. It will also avoid misplacing tubes and with embroidered marking the whole family can use what tube depending on the problem. We will work together so that you match your Kit. Each person, every family is different, so each kit will be unique. 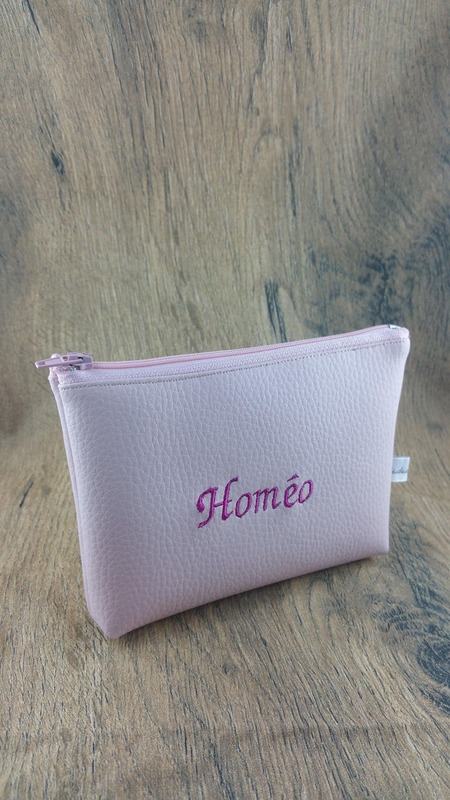 Because of customization, this is an original gift to mark an event like a wedding or birth. the names so that you match your Kit.
! 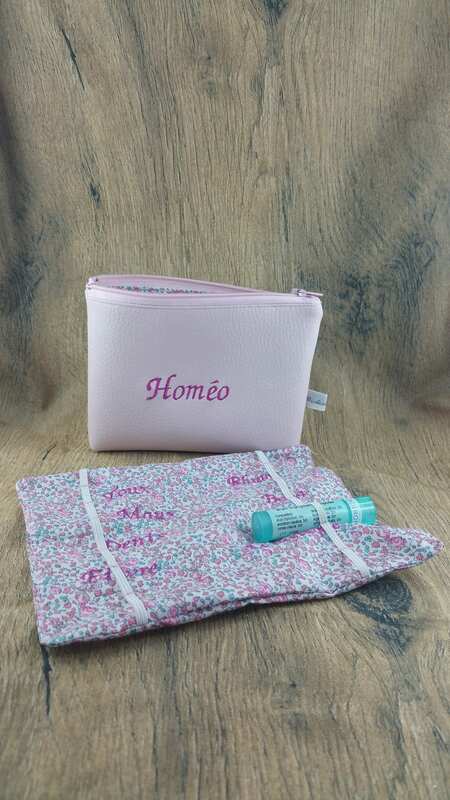 Sold without tubes homeopathic Kit! Impeccable! Superbe!! Je suis enchantée, très beau travail. 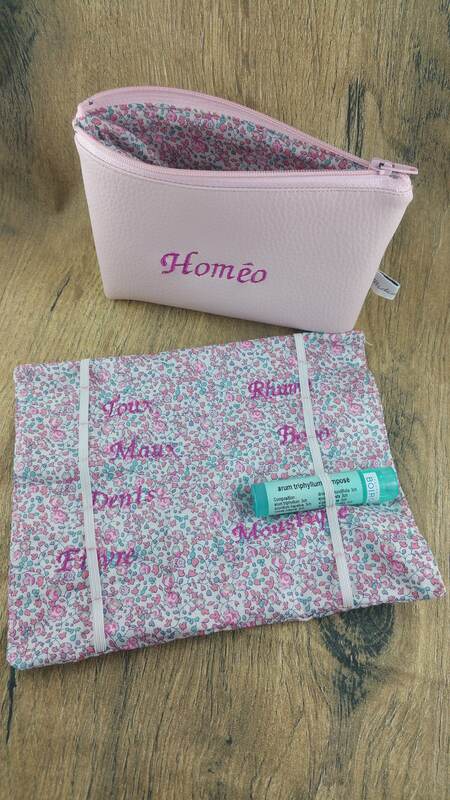 Petite trousse très pratique pour l'homéopathie.